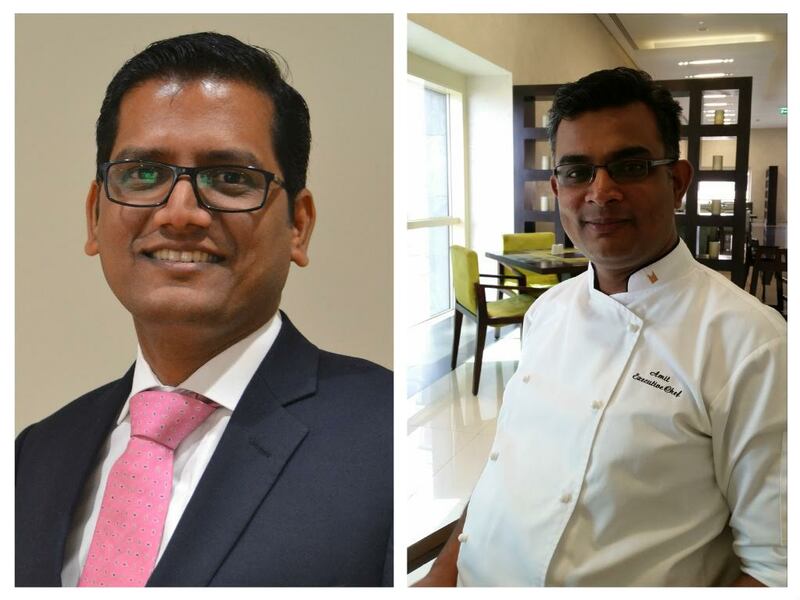 Dubai, UAE: Millennium Plaza Hotel, a 65-storey tower and a five-star luxury hotel positioned in the heart of Dubai, proudly announces the appointments of Gokul Raman as Food and Beverage Manager and Amit Jha as Executive Chef. Gokul Raman will be responsible for managing all food and beverage operations and delivering excellent guests’ culinary experience. With his exceptional skills he will forecast, plan and manage all F&B areas, employee and finance. With his 21 years of experience, he will excel at maximizing sales and revenue to the hotel through customer satisfaction and employee engagement. An Indian national, Mr Gokul graduated from the State Institute of Hotel Management (previously named as Food Craft institute) in Trichy, Tamilnadu-India with a diploma in Food & Beverage Service. Prior to joining Millennium Plaza Hotel Dubai, he held various positions with prestigious hotels in KSA and in the UAE at Hilton Ras Al Khaimah, UAE, Rose Reyhaan Dubai and Cove, Rotana RAK and recently in Centro Sharjah, Sharjah, as pre-opening Food and Beverage Manager. Amit Jha, the new executive chef holds a bachelor’s degree in Hotel Management and International Hospitality Management with 15 years of culinary experience. He previously held positions in renowned hospitality brands such as Taj Mahal Hotel and Hyatt Hotel in New Delhi, India, in Carnival Cruise Lines in Miami, USA and recently in Crowne Plaza Hotel in Dubai, UAE. Chef Jha is known for his excellent record of achieving guests’ satisfaction and service excellence. With an extensive culinary experience and strong kitchen operational and organizational skills, Chef Jha is sure to demonstrate leadership and devotion in his career. Guests will be satisfied with his menu selection, quality, and presentation of food in both buffet and a la carte set ups. Millennium Plaza Hotel Dubai is strategically located on one of the city’s most prestigious arteries, Sheikh Zayed Road, facing the Dubai International Financial Centre and in close proximity to the Dubai International Convention Centre and World Trade Centre. A five-minute metro ride away, you can shop at Dubai Mall or marvel at the world’s tallest tower, Burj Khalifa. The 65-storey tower comprises of 398 elegantly built rooms ranging from 34m² to 101m² spread over 36 floors. The hotel rooms start from the 26th floor upwards till the 61st floor. Guests can enjoy unobstructed views of Dubai from each and every room, overlooking Sheikh Zayed Road, Zabeel Palace, Dubai Creek and the Jumeirah beach. The hotel’s four restaurants and café serve a variety of cuisines from International Buffet to Local Emirati Cuisine. Other facilities include the Club Lounge, Business Center, Health Club and Spa. The meeting and conference facilities offer natural daylight, state-of-the-art audio visual equipments and wifi internet services making it an ideal working environment with a convenient address. Discover Millennium Plaza Hotel Dubai where “You are the Centre of Our World”.